Capitalists@Work: Who wants to be a millionaire ? Tonight, the EuroMillions lottery prize is estimated to be £143,000,000. One lucky winner is going to 'invest' £2 and earn a whopping, life changing sum. And it COULD BE YOU! But it won't be. not you, or me. This lottery has already rolled over 4 times. That means despite all the regular players, and those newly tempted for a flutter by the prize money, having already each tried to guess the seven necessary numbers, not a single person in Europe has. The odds are 116 million to one. it isn't going to happen. Still, speaking as someone who won $1,000 at Caesar's Palace, and then dragged the wife over to the Wheel of Fortune to show her how I did it .. and won another $1,000 .. for an outlay of $10, it CAN happen.! Dream the dream of totally undeserved megawealth. But if you did win, good and sensible readers of Capitalists@Work, where are you going to put your oligarch's fortune? 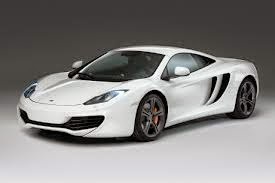 Assuming you buy yourself a Maclaren Supercar. And whatever vehicles the others in your immediate family want to have. .A mansion in Virginia Water. A modest flat in Chelsea..A Monaco apartment. New furniture to fill your new homes as you won't want your old tat cluttering up your new domiciles. And new clothes .. makeover ..plastic surgery .. best sporting equipment and entertainment systems on offer .Super-luxury holiday to Australia, Japan, Dubai.. and then dish out handfulls of millions to your lucky brothers and sisters and cousins and so forth...well, chances are, you will still have at least £100 million left. That is a lot of money to find somewhere safe to keep it. The banks are only guaranteeing you £85,000 per bank. You can't have a thousand bank accounts. The ISA annual tax free allowance isn't even a day's interest. Premium bonds can't take more than 0.0004% of your CASH wealth. You can put money into shares. But..that whole dotcom thing..and Enron..And Disney! Or there is property. But Ed and Vince and even George are just waiting for mugs to buy million pound homes so they can take a few tens of thousands of pounds off them each year. Personally, I might stash 10 million around the world, in various banks and buildings, just for emergencies, and then use the £90 million remaining to make a romcom movie staring Angelina Jolie and myself. After all, people, and governments, are going to be trying very hard to take this dosh off of me. At least I'd have a memorable screen kiss with Angelina on a speedboat, whilst spraying bullets at black outfitted bad guys .. Or instead, you could just give lots of it it to Alex Salmond like some previous euromillion winners chose to do. Assuming you, the good and hopeful, blog readers, would rather invest the remaining money you have decided not to just blow in the initial euphoria, where on earth are you going to put it? Where can you deposit it with a reasonable degree of certainty that it will be there when you return to check on it? Though admittedly, a problem it would be very nice to actually have. I would turn instantly into a goldbug. In my present state of indebtedness I think it a barbarous relic and love the fiat money system, but once i've got serious money i'm going to make Ron Paul look like a soft money pinko. You can keep Angelina Jolie. I'd sooner a rom-com with Jennifer Aniston and it wouldn't be bullets that I'd be spraying either. That buys an army. I'd definitely boost UKIP's coffers and I'd get some new tyres for my Suzuki Alto. We all win this lottery - just in different parallel histories. There are infinite numbers of these histories so you HAVE to win it. Unlikely to be this one, unfortunately. Well that's good then, Nick, because I can't count. Buy up the world stock of white rhinos. I have to say that so far, this isn't very helpful. I'm not checking my ticket for the winning numbers until someone can tell me a secure place to put the winnings. Well, having just returned from staying for 5 days in central Rome, it feels, imagining my credit card bill (+ the 500 Euro I took in cash), like it would not take that long to spend it! However, having made sure myself and immediate family and friends were all 'sorted', I'd probably set about giving it away or setting up organisations that help others, what else can you really do with 100 million that you could never ever, ever, spend. I'd buy a selection of houses to rent out. Nothing too upmarket, target the workers and charge a reasonable sum (no mortgage means I can undercut the competition, and hence pick the best tenants, who'd want to remain in my good books), but something to give me a monthly income. Stick some on the National Savings, 85k in a few different bank accounts, pay off bills, sort out friends and family. Buy some holiday homes. That'd leave me 140 million left! I'd give plenty to charity, in fact most of it. A wise man could, with 3 mil, ensure they were set up for life. Equally a fool could likely see that entire 143 mill disappear quite quickly - given how someone like Mike Ashley tosses millions around for fun, someone with the money but not the business or the brains, could easily piss it away. Go into the Aberdeen branch of HSBC Premier. Tell them I wanted £3m spending cash. Tell them I wanted £140m ready to drip feed into world equity and bond markets over the next 12 months. Say I can make 3% in divis and coupons on my £140m, well that's £4.2m a year. That's £6,328 a day to spend after 45% tax. I'd stay at work for about 3 months too just to wind my manager up. It would take them at least 3 months to sack at the council at the best of times, but imagine they knew you could afford £6.3k a day in legal bills! You didn't win. I didn't win. I suggest you buy a ticket.You still won't win, but at least you can have a daydream of buying up Fort Knox and bricking the doors of the council offices up with gold bars. Then buy Newcastle united off of my old boss, Mr Ashley, and enjoy the Geordie adulation for a few months..until they turn on you and hound you out. That might leave enough left over to hire professor Hawkins to test out some alternative reality universe theories. See if you can discover the one where you didn't sign Fernando Torres. Bill of course nobody won, that's because it's my destiny to win it, it'll roll over a couple more times to a fat £180M. After which I'll start buying up politicians judges and other playthings ..
Winning the lottery is an interesting thought experiment isn't it? I mean, in my example above, the £6k odd income a day is enough to get ratted on Chateau Petrus and Macallan Conestellation every night, but only just enough, and only if you buy them from the offy. You can see how rock stars etc go bust. Thinking about it the other way, the £9k a year gross pay rise I'll get for passing 2 and a half hours of exams in November is like a £300k windfall (9,000/0.03) or £120k an hour. Giving up smoking would be like being handed a £55k trust fund at 13 mid range fags a day. My daughter religiously buys her Eurolottery ticket and I've asked her what she will do with her potential huge win and she's got it sorted in her head that she will set up a foundation to give it away and enjoy doing so a la bill and Miranda Gates so she no longer is beholden to anyone else for her income yet does something worthwhile with it and her life.....where it goes before it's spent is another matter...not sure about that! PS I don't even buy a ticket these days. i never noticed any windfall from giving up fags. 40 a day at £6 a pack or whatever it was, should have been a huge amount of disposable. But never noticed ay extra at all. just wasted it on something else I guess..like lottery tickets! Today, Wednesday, I posted relating to this blog. There was serious criticism of what might happen if any of the political party leaders read it. Commented on your blog Dem. not sure if it went through though.